Passed peacefully away on Monday, April 23rd, 2018 at the Palliative Care Unit, after a battle with cancer, Donna Bradley (nee Baldwin) at the age of 48 years. Leaving to mourn husband Jim, son Brendan, and daughter Katie. Also leaving to mourn parents Max and Hazel Baldwin, brother Trevor (wife Lori, Paige and Liam), Parents in law Jim and Shirley Bradley, brother in law Garry (wife Lana, Jenna), special Aunt Paula (Rick Fisher), special cousin Sylvia Tobin (Paul), close friends Marlise Ball, Deanne Connolly, Chantal Vincent, Tina Snow and her SOS “Pink” Sisters. Donna also leaves to mourn many other family members and numerous close friends. Special thanks to Dr. Kara Laing, Dr. Craig Pochini, Dr. Joy McCarthy, all the nurses and radiation therapists at the H Bliss Murphy Cancer Centre, and the staff the Palliative Care Unit who took such wonderful care of her. Cremation has taken place. Visitation will take place at Carnell’s Funeral Home, 329 Freshwater Road from 2-4 and 7-9 on Wednesday, April 25th and Thursday, April 26th. Funeral service to be held on Friday, April 27th, 2018 at 11:00 a.m. from St. Mark’s Anglican Church, Logy Bay Road. Flowers gratefully declined. Donations in Donna’s memory can be made to help fund research for metastatic breast cancer at www.cancer.ca/metastatic. To send a message of condolence please visit, www.carnells.com. So sorry for your loss. I knew Donna in passing back in university days through mutual friends. She made a deep impression with her liveliness and love of life. Nursing appeared to be her calling. I hope your great memories of her will carry you through this loss. We are so sorry to hear about Donna. You all had a good life together and you have all the wonderful memories as well. Jim, I know your heart is breaking. Losing Donna, someone you love so much, is devastating. You and your family are in my thoughts and prayers. No words are adequate at a time like this. .Allow yourself to cry, laugh, throw things, dance, sing – Just hold on to the light and let it wraps around you until your strength returns. and all your family at this very difficult time. I was so deeply saddened to hear of the loss of your precious daughter. May all the wonderful memories hold you close and help you through this most difficult time. So very sorry for your loss. I worked with Donna in Critical Care. She was such a wonderful, caring nurse & a great, warm, kind, funny, special person. I was privileged to know her. She was so strong dealing with her diagnosis. Please stay strong. May your happy memories help you in these difficult days. So sorry to hear of your loss. Be sure to know your in our thoughts and prayers in the sad days ahead. Jim & family, so very saddened to hear of Donna’s passing. Donna was in the room with Dawn and I when our son Jack was born. Her kind words and smile were genuine and comforting. Please accept my deepest sympathies at this difficult time. I am saddened to hear the lines of Sinna’s passing. We were band mates is highschool and became fiends for judge school and theoughout our nursing school years ( me the grace and her the General) I have a lot of fond memories of fun times shared together . She had a smile that lit up the room and laughter that filled it. She will be dearly missed . I have some comfort knowing she is at peace . She will never leave the ones she loves for she lives within your heart…. till we meet again dear Donna … sending strength and love to her family and dear friends. Janet Cason ( Carmichael) and family . Jim & family: Please accept my sincere condolences on the passing of your wife, Donna. Such a tremendous loss. My thoughts and prayers are with you at this difficult time. May she rest in peace. Our deepest sympathy on hearing of Donna’s passing. So sorry for your loss. The heavens have gained a beautiful angel. May you find strength in your family. Our sincere condolences on the passing of your beautiful daughter. Our thoughts and prayers are with you at this most difficult time. I’m so sorry to hear about the loss of Donna. She was a wonderful person. My thoughts are with you during this unbelievably difficult time. I worked with Donna for many years in ICU. She was an excellent nurse and person. I will never forget her sense of humor and dedication to her patients. She will be sadly missed by anyone who had the privilege of knowing her. .
Max & Family:So sorry to hear of your daughter’s passing. Deepest condolences to you and your family. Max & Hazel, My sincere condolences to both of you as well as To Donna’s family. My heart goes out to all of you at this most difficult time. I know you will treasure your memories & always be there for your Grandchildren. I am deeply saddened to learn of Donna’s passing and send you my heartfelt condolences. I have such fond memories of Donna as a young girl when I used to babysit for you. She was such a sweet, kind and loving person. Keeping you all in my thoughts and prayers. May God comfort you and give you strength during this most difficult time. May her gentle soul rest in peace. Please accept our deepest condolences on the loss of your beautiful daughter Donna. We are out of province at this time so unable to be there in person but rest assured you are all in our thoughts and prayers. May all your special memories help you get through this difficult time. May her gentle soul Rest In Peace. To my beloved family back home. I’m so sorry to hear of the loss of our beautiful Donna. Her soul is brilliant and will live on in our family forever. Sending strength and love to you all, we love you all so much. I have no words to express how saddened I am with Donna’s passing. She was an Angel on earth, now an Angel above. Her family was always her priority and she glowed with pride each time she spoke of each of you. She was so proud to be your Daughter, Wife and Mother. I was proud to have her as my cousin, my “younger sister”, and my friend. I cant begin to imagine your pain but take solace in knowing she’s peaceful and watching over all of you with pride and love. You’re in my heart and prayers now and always. Jim so sorry to hear of your wife’s passing .Our sincere condolences. Our thoughts and prayers are with you and your family. Our sincere condolences to you and your family during this very sad and difficult time. Treasure the memories. JIm, Brendan, Katie, Max, Hazel and families.. Words cannot convey how saddened and heartbroken I am to hear about the passing of Donna. A true kind loving woman who I was so very happy and proud to call my friend. When I lived in St. Johns I spent alot of time with Donna at work and outside of work. With life and crazy shedules we did not talk every day but when we did catch up it felt like we saw each other yesterday. A person did not have to spend a lot of time in her company to realize how important her friends and family were to her. I know this loss is immeasurable to all who was fortunate to have met and become a part of her life. The wonderful memories , the fun and laughter and I know I will never forget her. Keeping you all close in my herat and prayers at this beyond sad time. Sorry to hear of Donnas passing, our thoughts and prayers are with you at this difficult time. May God give you comfort and may happy memories sustain you in the coming days. Jim, I am so sorry for your loss. My sincere condolences to you and your family. You are in my thoughts during this difficult time. Both Yvonne and myself are so sorry to hear of Donna’s passing. Having just lost my Brother-in-Law to cancer not a month ago, I can only partly understand your grief. Cherish every moment you had with her as we will and remember, you and your family are in all our hearts at this time and for some time to come. Our sincere condolences on the passing of your beautiful daughter and much-loved family member. May God comfort you at this sad time in your lives, with many happy memories of just what a wonderful person she was. We were so saddened to hear of Donna’s passing. I was her classmate in Nursing school, she was such a sweet person. I communicated with her occasionally during her battle and ran into her during a trip home. She never changed, she didn’t let it change her.. her strength showed through. I met your wonderful kids and you could see the love that was shared and Donna still managed to laugh and joke at all that was happening. She will be missed by so many but never forgotten. Her light will shine forever. Max & Hazel. So sorry to hear of your daughters passing. Our deepest condolences to you and the Bradley family. Will keep you in our thoughts and prayers at this sad time. Doug & Edna Porter. I went to school with Donna (starting in Jr high) and I remember her being such a wonderful person with a warm, welcoming smile and hearty laugh! I have spent time thinking about those days today and the times we would drive together to one of our evening classes during university (and the laughing we would do), and about times in nursing when our paths crossed again, always with her warm, welcoming smile-no matter how long it had been since we had seen each other. I’m filled with sadness for your loss and send you heartfelt condolences. I was saddened to hear of Donna’s passing. Sending my heartfelt condolences to you and your family at this time. Take care and keep your memories of Donna close. I went to high school with Donna and always remember her smiling and being so kind, pleasure to be around. May wonderful memories of Donna bring you comfort. Hazel, Max and family, We are saddened to hear of Donna’s passing. Our sincere condolences to all of the family at this most difficult time. Know that we are both thinking of you! Our heartfelt sympathy to you, Jim and family. May happier memories of your dear Donna, help sustain you through this difficult time. Love and friendship to you all. J. A.Heffernan (Colonel ) M.S.M. I was saddened to hear about Donna’s passing. Please accept our condolences. You are in our thoughts. So sorry to hear of Donna’s passing. My thoughts and prayers are with you at this time. So sorry to hear of Donna’s passing. My thoughts and prayers are with you and your family during this very difficult time. Sincerest condolences to Donna’s family, her mom and dad, her husband, Jim, son Brenden, beloved Katie whom I had the pleasure to meet this fall at St Clare’s. My fondest memories was talking about our families to each other while we were on break in ICU. Donna was always so interesting and engaging and took the time to share her stories. She personified what it meant to be a true professional nurse and carried this true with such strength and courage iagainst her own battle. RIP Donna…..forever in my heart. I am sad to hear of Donna’s passing. Jim, my sincere condolences to you and family. Jim, My most heartfelt condolences to you and your family , I was shocked when I heard the news, I did not know Donna was I’ll. I’m so very sorry for your loss. So sorry to hear about the passing of Donna . Thinking so much about her kids and family . Donna and I went to school together Macdonald drive to PWC. Spent some time hanging out with her at her house and playing together when we were young . She was such a sweet person . God bless and comfort your family . So sorry for your loss! RIP Donna!!!! What a terrible loss. Not only was Donna a wonderful person , she was an amazing nurse and most importantly a dedicated mother . Our thoughts are with you. So sorry for your loss. Our thoughts and prayers are with you at this difficult time. Sorry to hear of Donna’s passing. Our thoughts and prayers are with you and all the family. God bless. Hazel and family, I was saddened to hear of the passing of your much loved daughter, Donna. Thinking of you all and hope the memories of happier times will bring her close and give you some comfort in the coming difficult days. To Jim Brendan, Katie and family . We are so very sorry to hear of Donnas passing. Our hearts are breaking for you, she was definitely one of a kind who touched our lives in so many ways!, she will be your angel for sure! Please be assured of our thougths and prayers in these days! God bless and comfort you all! We shall see her again!! Sending this message to convey our condolences to Jim, Shirley and all the Bradley family. We are in Florida and cannot be with you at this sad time but our thoughts are with you all. Words cannot describe the sadness that I feel. I’m sending my love to you all. Donna was one of a kind. She touched so many people. A true friend to every one and always there when we needed her. God has taken a beautiful angel home, and she will be forever missed. I read this quote today and thought it so fittin., so I wanted to share it…. Spread your wings and fly my friend! Like a butterfly, you were one of a kind. So sorry to hear of your sister’s passing. Our thoughts and prayers are with you and your family at this most difficult time. Max and family, words can not express how we feel at the news of Donna’s passing. She was an amazing person who touched so many lives. We know she will be missed but always treasured. Donna Heaven has their Angel, you will be greatly missed but forever in our hearts. Jim God Bless you and the Family , Always recall the wonderful times and Donna’s Love and carry it in your hearts forever. We are so deeply saddened to hear that Donna has passed away. The beautiful condolences people have written are a testament to the love she gave to family and friends and the many lives she touched. It is our hope that you will draw strength from all the wonderful memories you have made together and that you are secure in the knowledge that Donna is at peace and safe in the arms of God. Trevor and the entire Family, My thoughts and prayers are with you all during what I’m sure is a very difficult time. Take care. Max & Hazel: So sorry to hear of Donna’s passing. My thoughts and prayers are with you at this difficult time. To Donna’s family and friends, I am so very sorry for your loss. I remember Donna from our days at MacDonald Dr.. My thoughts today are filled with birthday parties, playgrounds and tons of girlish laughter. From the pictures I see and the tributes being written she continued to be a source of love and laughter. My thoughts and prayers are with you. To the Baldwin and Bradley families, I am so sorry for your loss. Donna and I went to school together and I worked with her mom at St. Pat’s. Although we hadn’t seen each other in years we reconnected through Facebook and it was wonderful to speak with her again. She was a sweet and caring person who will be missed by so many. A beautiful person taken much too soon. Jim and children,Shirley and Jim and the entire Bradley and Baldwin families may you all find some peace in knowing Donna is no longer struggling. .Thinking of you all during this difficult time. So saddened at the news of Donna’s passing. My heart goes out to her beautiful family and amazing group of friends who have been such a source of love and support for her, especially these past few years. I’m grateful that we were able to reconnect and spend some precious moments together. We reminisced about our school days:: band practices and band trips, St. Mark’s Youth Group, teachers and friends. We caught up on one another’s lives and the love and pride that she had for her family and friends. The heavens have gained a loving and brilliant light. I’ll miss you my dear friend xo. I was so sorry to hear of Donna’s passing. She was a lovely and kind person. Anyone who knew her was a better person for it. My thoughts and prayers are with you. To Donna’s family. Please except my condolescences. I met Donna while at The General Hospital School of Nursing, she was a year ahead of me. She was a wonderful person and I have some great memories of her. I remember reconnecting with her a few years back when my parents were both sick. She always have positive words of encouragement. She will never be forgotten. So sorry to hear of Donnas passing. She was a lovely person from our meetings with her as a customer here at The Big R. Thinking of her family and keeping you in our prayers. We were so very sad to hear this news. Donna will always live In my heart as a joyful new Mom. I remember particularly one star-lit walk around Topsail Pond, as she cradled newborn Brendan close to her heart in his snugglie. She was full of life and love, and oh, how we laughed! The world is dimmer without her light. We wish you strength and consolation now and as you journey forward together. Our thoughts are with you at this time of such deep sorrow. Max, Hazel & family so sorry to hear of Donna’s passing. You are in our thoughts and prayers. Our heartfelt condolences to the Baldwin & Bradley families. We are now in Halifax but our thoughts & prayers are with you. So sorry to hear of Donna’s passing. Sincerest Sympathy to you and your family at this time of great loss. My thoughts and prayers are with you. Mary Carey (Donna O’Brien’s sister), Bay Bulls. Our heartfelt condolences to the whole Baldwin and Bradley family. Grief can be so hard with the loss of Donna, your dearly loved one, but hopefully, special memories of the good times will help you all cope. We wish you comfort and peace for the days ahead. May God bless you all. Please accept our deepest sympathy on the passing of Donna. May God grant you peace at this difficult time. Our deepest sympathy and love to Jim, Brendan, Katie, Hazel, Max and all the family on the loss of your beautiful Donna. We pray her love and memories will help you through this difficult journey. One day at a time. Dear Jim and family…….We are greatly saddened to hear of Donna’s death. Our thoughts and prayers are with you at this very sad and difficult time. We are thinking of you all during this difficult time. Donna was such a lovely and caring person. Extending our heartfelt condolences and sending much love your way. Thinking of you today,Deepest Sympathy to all the family.Our thoughts and prayers are with you at thiis sad time.. Hugs. Marie and Jim. Jim and family. So very sorry to hear of Donna’s passing. We remember her as a very kind and loving person. You are in our prayers at this most difficult time. Rest assured that she is now “safe in the arms of Jesus”. Love from Betty and Dave Granter. Our thoughts, prayers and sincere sympathy are with you and family on Donna’s passing. May all the special memories you have be a great comfort to you. Rest eternal grant onto her O Lord and let light perpetual shine upon her. Thinking of you all at this very sad time as you mourn the loss of your beautiful daughter. May the memories of happier times bring you comfort in the coming days. I am so very sorry that you are all going through such a tremendous loss. Donna was an amazing person who personified a nurse in every way. Hold your memories close and know that so many of us are praying and thinking about you all now and in the coming days, weeks and months. I’m out of the province and can’t be there to give my condolences in person but I’m there in spirit. So very sorry to hear this news. Please know that my thoughts are with you at this very difficult time. My deepest sympathy to Jim, Brendan , Katie ,Hazel and Max . I have known Donna all of her 49 years and that beautiful smile, so full of excitement , has been her trademark . I have been close friends with her Mom Hazel , one of ” The Girls” , who had watched her grow up and become the wonderful , caring and thoughtful person she was . She shone a light on this world and has left her mark on everyone she met in her short lifetime The Nursing profession has lost a treasure. So sorry to hear of your immense loss ,deepest and heartfelt sympathy to you all. Hazel and Families. So sorry to hear of Donna’s passing. My thoughts and Prayers are with you all during this difficult time. God Bless you all. I’m heartbroken to hear of Donna’s passing. Although we lost touch over the years, she was one of my best friends during high school. She was a beautiful person and would do anything for anyone. She will be dearly missed by everyone who had the pleasure to know her. Please know that you are all in my thoughts and prayers. Jim and family, I was so saddened to hear of the passing of your wife, Please know you and your children are in my thoughts and prayers. JIM AND FAMILY ,MAX AND HAZLE , we are so sorry to read of donna’s passing she was our neighbor for a long time and such a lovely person .we are away but please know you are in our thought’s and prayers at this sad time NEIL AND IVY. I am so saddened to hear of Donna’s passing. Donna and I graduated nursing school together and she was one of my favorite people, an absolute sweetheart! She was working the night my son was born and was just excellent! She had contacted me back in late February about a fellow classmate whose spouse was having medical issues and wanted to to express her concern, which shows what kind of person she was. We then messaged back and forth and she told me all about her kids, sent me pics of them, told me what what they were doing, how her husband was with his band, and about how Marlise was her rock during her medical issues. She definitely loved you all. She was a lovely person, my condolences to her husband, children and family. We are so heartbroken to hear about Donna .She certainly was a wonderful person ! We are away and unable to pay respects to you and your family personally but know that we are thinking of you . may you all find some comfort in her wonderful memories !! I am heartbroken to learn of your loss. Donna was a beautiful person inside and out. I am out of the province this week and unable to pay my respects in person. Please know that you are in my thoughts and prayers. Jim so sorry to hear about Donna’s passing…sending my thought s and prayers to you and the children and to Max and Hazel. To Donna’s Family and Friends; I am so sorry to hear about Donna’s passing. I met Donna many years ago when I did a work term at Municipal Affairs. She was always so positive and helped me so much to get started. Her smile would brighten up the office. May the memories you have of Donna help to ease the pain in the days ahead. God Bless. My sincere condolences to the family. I worked with her for a short time and she was an amazing woman. She touched my soul with her kindness. I had the pleasure of working with Donna in the ICU at the HSC.She was very kind and caring to me when I was struggling personally.I will never forget her kindness.Thinking of you all and please know she has held a special place in my heart for many years. I am deeply saddenned to hear of Donnas passing. I am echoing the words of many. I first met Donna as a coworker in ICU about 20 years ago. Each and every interaction was so positive and uplifting. She had this aura of sunshine around her which radiated through her smile. She was the ultimate nurse , as well as a genuine human being. If I live to be a hundred, I won’t leave half the impression you have left on this world. God bless you and your family! To all of Donna’s family, friends and colleagues. we have all lost a beautiful woman with Donna’s passing. she will be missed by all that knew her. Her infectitious smile lit up any room she entered and i know her patient’s found comfort in the care that she provided. words cannot describe the loss I feel todsy. she will be missed by all thst knew and loved her. This world is a better place for having Donna in it. May you all find strength in knowing what a special woman she was. May God bless all of you in your time of grief and sorrow. My condolences to Jim, Brendan, Katie and family/friends on the loss of Donna. I will always remember that smile and her love of life. My heart goes out to you all. Please accept my sincerest condolences. I am heartbroken and saddened to learn of Donna’s passing. Although I have had fleeting contact with her as of late I cherish the memories of walking home with her in junior high school and of our times in the many bands in which we played. She will be missed. So sorry for your loss, our thoughts and prayers are with you all during this difficult time. May she fly with the angels and rest in pease after such a brave battle. Jim, Brendan and katie … and all of Donna’s family. Our thoughts and prayers are with you during these days. Donna was a good friend. I will miss her terribly. Rest in peace my friend!!! by Marie,Bob and Hannah Rowsell. Our sincere condolences for your loss of Donna. Will always remember her for her beautiful smile and caring personality. We will treasure the memories of time spent together with her. May she rest in peace now. I was heartbroken to hear of Donna’s passing.. Deepest condolences to you all and especially Jim and her children. Our thoughts and prayers are with you during this difficult time. Rest In Peace Donna. Our deepest condolences on your loss. Our thoughts and prayers are with you all during this very difficult time. So sorry to hear of Donna’s passing. My thoughts are with all her family that she left behind. So sorry to hear of Donna’s passing. You are in my thoughts and prayers. God bless you all. Max and family, please accept my deepest condolences on the loss of your beautiful daughter, Mom, and wife! It’s been years since I have seen you, but I remember you fondly for being so kind to me when I needed rides from work. I was sadden to hear of Donna’s passing. My heartfelt condolences to you all. 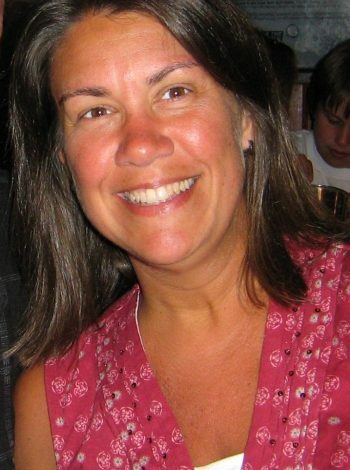 Donna had a beautiful smile that brighten many of us, She certainly was a very enthusiastic and positive person. My thoughts and prayers are with all of you. Know that our thoughts and prayers are with the whole family during this saddened time..way too young !!! No words can describe a situation like this..hoping time will help ease your pain….Roger and Sharon Learning.. I am so sorry for your loss, Donna was such a beautiful, kind hearted person. My thoughts and prayers are with you and your family at this difficult time. I’m so sorry to hear of Donna’s passing. My thoughts are with you and your wonderful family in this difficult time. This is such a difficult time our thoughts and prayers are with you all. It is difficult to find words to express sympathy for such a loss. Donna was so special to so many. She represents the strength and dignity that we all hope we would have in life and in passing. Her beautiful smile brightened many lives. The world is less without her presence but more because of what she left us all. Her memory. Jim, so sorry to hear of Donna’s much too early passing. Our thoughts and prayers are with you and your family at this difficult time. Glynn, Wally and Staff of Triware Technologies Inc.
Hazel and Max, my heart goes out to you . My condolences to you and all the family. Donna was a kind and beautiful person that I will always remember with the greatest fondness. My thoughts and prayers are with you. RIP Donna. Words cannot express how I feel on the passing of Donna . Another Angel in Heaven to look down on her loved ones . RIP . Max and Hazel my sincere condolences to you and to her husband and children . May God Bless you all at this sad time . My deepest sympathy on the passing of Donna . Keep her memories close to your heart . My sincere condolence on the passing of Donna , may her Angel wings fly high . No more pain or suffering . by Shirley Williams Pitre . My sincere condolences to you and the entire family. I have such fond memories growing up next to Donna in Wedgewood park. I only met Donna once back in Jan. 2018 with Hazel at cora’s. She told me a little of her struggle and I marvelled at her strength and courage in that one brief encounter. My thoughts and prayers are with Hazel and family. May she rest in the Lord. The last time I saw Donna the first thing I was met with was her very warm, beautiful smile. Donna was a truly wonderful person through and through. My heart and prayers are with her husband and children during this difficult time. Max and Hazel my most sincere condolences to you both. The world has lost a beautiful soul. My heart is breaking for you Jim, Brenden, and Katie. She will be missed by all of us. Prayers with family and friends….may sge reat in peace. Such a sweet wonderful human being. To have a sense of all the people Donna has touched over her far too brief, but impactful life is to know something of her nature and what was important to her. I’ve been blessed to have known Donna since we were toddlers…the example of a life generously lived is something I’ve counted myself lucky to have experienced as her friend. There aren’t words right now-but there are wishes for strength, peace and as much comfort as possible for Jim, Brendan and Katie, Max Hazel (the ‘B”s), Trevor and that incredibly wide circle of her family and friends that Donna has so profoundly touched. With gratitude Donna for all that you gave and all that you shared and all that you are. Our world is smaller and a little less bright today without the radiance of Donn’a beautiful smile and wonderful personality. Jim, Brendan and Katie, Mr and Mrs Baldwin, and Trevor, my heart aches for all of you. To Donna’s extended families, her SOS “Pink” Sisters, and to our nursing family, my sincerest condolences. I know we will keep Donna’s spirit alive within us. Rest in peace, Donna. Safe travels, little one. Condolences to the loves of her life; Jim, Brendan and Katie, her family, her pink sister and to all her coworkers who had the privilege to work alongside her. So very sorry to hear of your Daughters passing, Our Deepest Sympathy on your loss!! Hazel, Jim and families. God Bless you all at this very difficult time. Donna was such a kind and considerate person. Always putting everyone ahead of herself. She was and always will be an amazing woman. That beautiful smile of hers just warms the heart. Rest In Peace my friend. So sorry to hear the news of the passing of this wonderful lady. Donna was such a joy to be around, with a smile always on her face and a loving heart. We’ve missed her wonderful work in case room, but more importantly missed a wonderful person. Sincerest condolences to Jim, the kids and her family and friends. We are so very sad to hear of Donna’s passing. Our deepest condolences to you all. I write this with a very heavy heart. To Jim, the kids, all the family and friends, on behalf of Nancy and our family, our sincerest condolences. Eternal rest grant unto her, O Lord, and let perpetual light shine upon her. May she rest in peace. Amen.